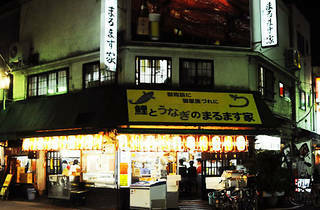 The classic Koi to Unagi no Marumasuya Sohonten can be found not far from the east exit of Akabane Station, along the Ichibangai shopping street. 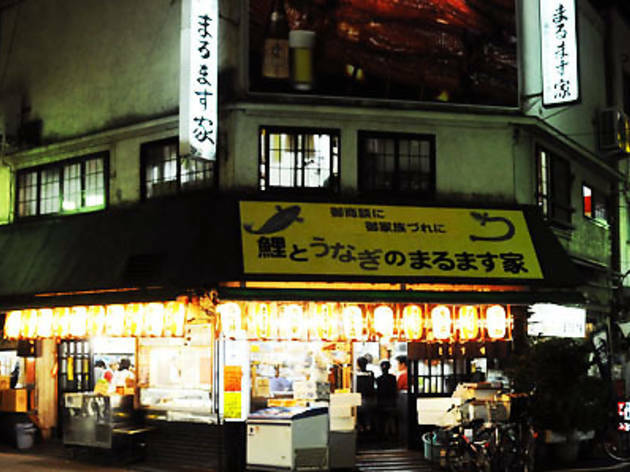 Open from 9am, it’s an izakaya by trade, but also grills eels by the shop front – the aroma wafts down the street attracting customers – and serves a variety of unagi dishes like kabayaki, shirayaki (plain grilled eel), unadon and unaju. The kabayaki here comes basted in a unpretentious, uncluttered sauce, with crispy skin and meat that's plump and succulent. In addition to eel, they also serve up koi carp, catfish and various other freshwater fish. At the front of the shop, customers can watch as staff fillet the fresh delicacies.